CFP Open for Our Annual Event! Well, it’s that time of year again when we start to gear up for our annual event! So excited. Though it’s slightly outside the traditional definition of a fairy tale, we had to do something to celebrate the birthday of Alice’s Adventures in Wonderland. 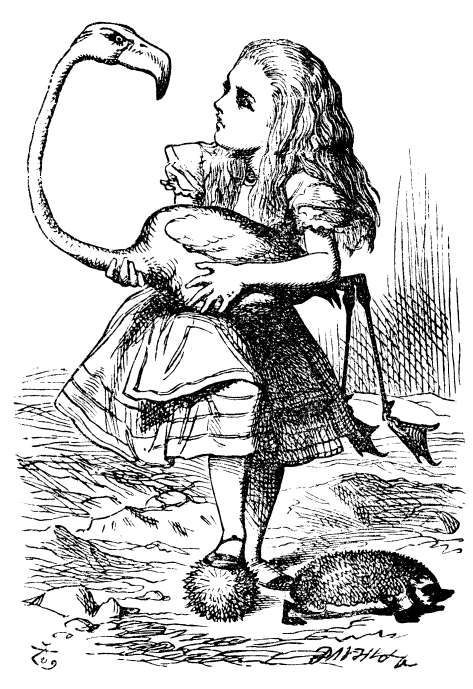 The Monash Fairy Tale Salon will be hosting a curious afternoon of madness and muchness as we go down the rabbit hole in celebration of the 150th anniversary of Lewis Carroll’s classic, Alice’s Adventures in Wonderland. Long before Tim Burton and Walt Disney stepped through the looking-glass, a mathematician, a Reverend and three girls went for a boating trip on the Isis. During the journey the mathematician regaled the party with a nonsense story that has become known as one of the favourite stories for children and adults alike. For one afternoon only, we will be hosting an exploration of all the impossible things we can do before breakfast. Come along and learn about the author and illustrators who shaped literary history and gave us such wonderfully uncommon nonsense. For the bold at heart (or the Queen of Hearts), come dressed as your favourite Wonderland character! This event is open to anyone who has a love for nonsense and will take place at the Theatrette, Glen Eira Town Hall, on Saturday June 13, starting at 1pm, as part of the Glen Eira Storytelling Festival. We are looking for interested participants who would like to present papers or original work in the form of readings or performances. Please send a 100-200 word summary or abstract to arts-fairytale@monash.edu by April 27. For more information, please contact us at arts-fairytale@monash.edu.